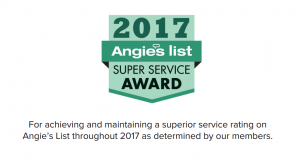 Levco Pools is proud to announce that it has earned the home service industry’s coveted Angie’s List Super Service Award (SSA). This award honors service professionals who have maintained exceptional service ratings and reviews on Angie’s List in 2017. Levco Pools has been listed on Angie’s List since 2013. This is the fourth year Levco Pools has received this honor. Levco Pools is a full service pool company. Levco Pools is fully insured, fully licensed, and a member of the NJ Better Business Bureau (A+ Rating). We have been an Angie’s list award winner for service and construction for the past 4 years in a row. We were also recently awarded “Best of Houzz” for 2016. We are an “Authorised Hayward Repair Center”. As such, should you select Levco Pools you can rest assured knowing that you have selected a reputable company that has been proudly serving central NJ since 1986.